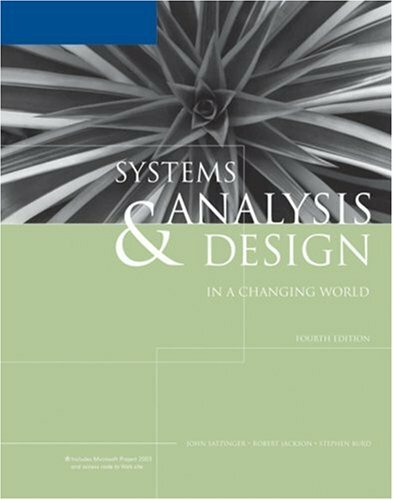 Building on its continued success this text has been revised to provide the most comprehensive, balanced and up-to-date coverage of systems analysis and design available. John Satzinger is a Professor in the Computer Information Systems department at Missouri State University. With teaching and research experience at leading CIS and MIS university programs since 1991, Dr. Satzinger provides a strong managerial focus and powerful vision for this text. His interests and specialties include systems analysis and design, graphical user interface design, object-oriented development, and database and client-server development. He earned his MBA from Cal Poly University and his Ph.D. from the Claremont Graduate University. Stephen Burd is an Associate Professor at the University of New Mexico, where he has been teaching courses in management information systems, networks, databases, and hardware/software since 1984. The author of more than seven top-selling textbooks for Course Technology and Cengage Learning, Dr. Burd brings significant strengths and industry knowledge to this text. He received his B.A. and M.A. from the University of Baltimore and his Ph.D. from Purdue University.